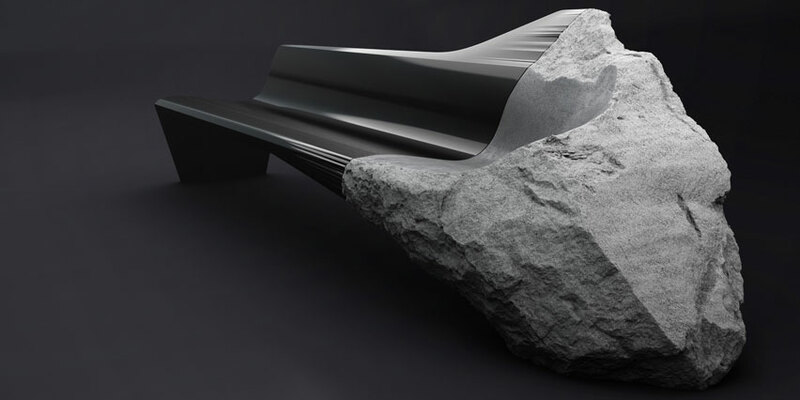 This provoking Sofa Onyx was designed by PEUGEOT DESIGN LAB. 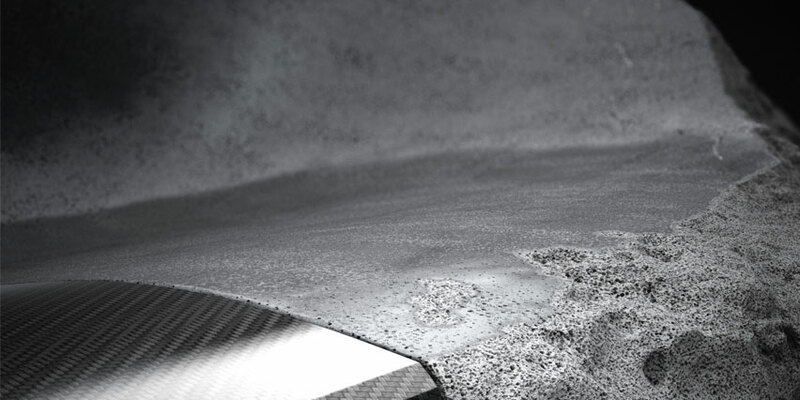 The ONYX super car (launched by the brand a while back) now has a static partner in this incredible sofa. 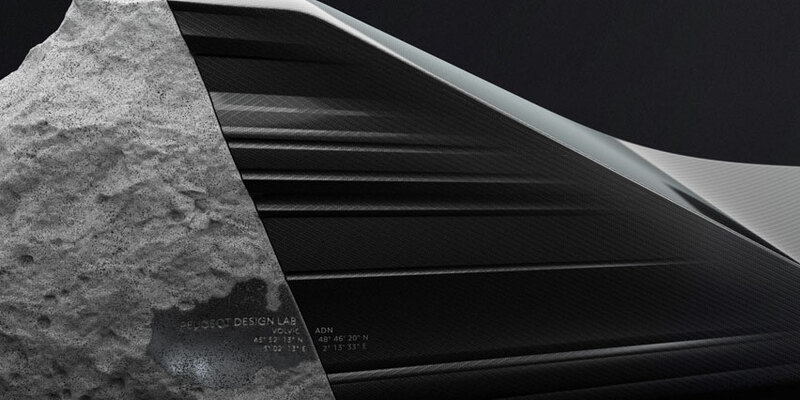 This 3-metre long seat made of carbon fiber and volcanic lava encompasses PEUGEOT’s industrial creativity. 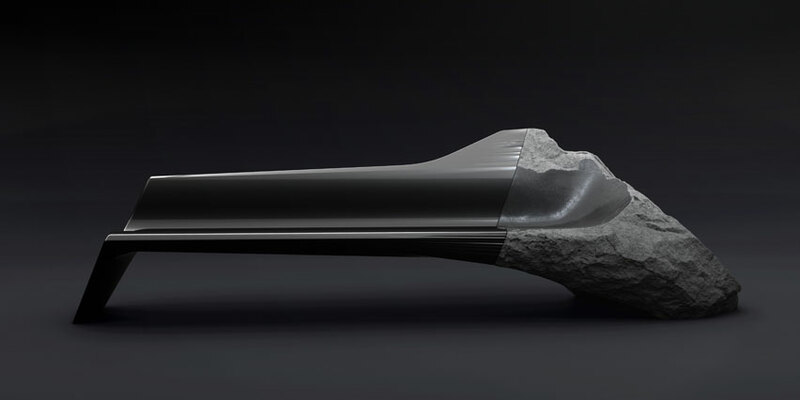 “At Milan, with the ONYX sofa, we are drawing a thread between the ONYX concept car, an alliance of efficiency and the use of audacious and natural materials, and the ONYX sofa. By means of a sharp straight cut, this contrast is powerful, voluntary and assumed in the way we look at the materials and how they are used“, explained the designers. 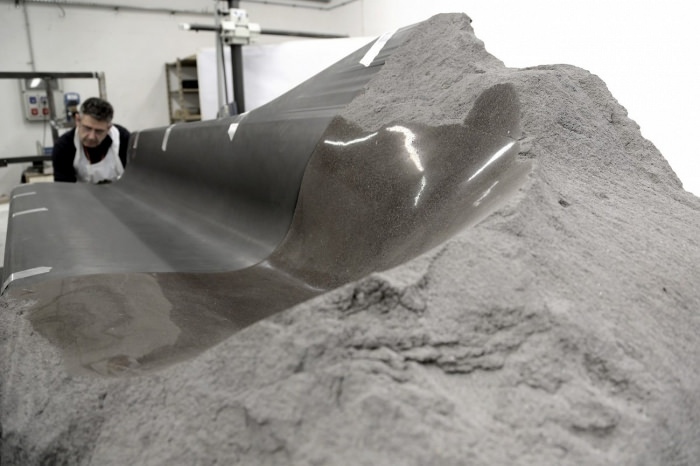 The project aimed to present the union between hyper-technological materials on one side, and raw, natural materials on the other.